LG today released a new teaser video on its YouTube channel for its upcoming V10 phablet with a secondary ‘ticker’ display. Unsurprisingly, the teaser focusses on the phablet’s secondary ticker display, giving us our first glimpse at it ‘in action’. 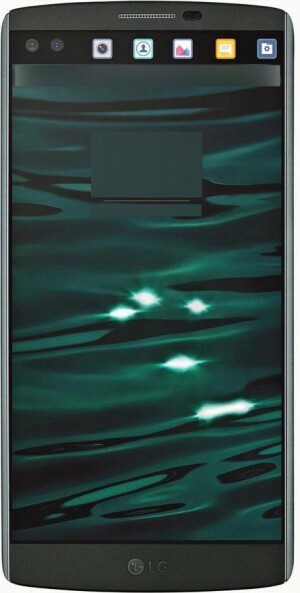 The secondary display of the phablet could be used to display app shortcuts as well as notifications, as seen in the leaked render posted by leakster @evleaks yesterday. We’re guessing the secondary ticker display could function in the same way as the side edge on the Galaxy S6 Edge+ or the Galaxy Note Edge. The V10 phablet is set to go official on October 1st at LG’s media event in New York City. Most of the phablet’s specs have been leaked already, thanks to the TENAA listing. It will feature a 5.7-inch 1440 x 2560 Quad HD display, Snapdragon 808 six-core SoC, 3GB RAM, 16MP rear camera, 64GB expandable memory, dual selfie cameras, and a fingerprint scanner embedded on the power key.